There are thousands of sinus infection home remedies out there - a Google search produces over 2.9 million hits ranging from bizarre Snake Oil potions to practical tried and tested solutions. To add to the confusion, pharmaceutical giants (we call them Big Pharma), produce an enormous array of nasal sprays, pills, capsules, antibiotics and steroids aimed at treating sinusitis. However, these chemicals are not concocted out of thin air, Big Pharma employs an army of the best and brightest microbiologists and molecular scientists on earth to research Mother Nature's herbal wonders. Because they cannot patent natural remedies, that’s why! But be warned! Mother Nature’s treasures are virtually impossible to replicate accurately. As a result, most chemical concoctions carry harmful and sometimes deadly side effects. Mixing decongestants with other medication carrying similar side effects could cause life-threatening complications. The over-use of decongestant nasal sprays generates a rebound effect called "rhinitis medicamentosa." This forces you use progressively higher doses to maintain the same clarity of breathing - and if you try to quit, forgedaboudit, unless you’re prepared to undergo lengthy rehabilitation. The result? Big Pharma’s cash register goes “kaching, kaching, kaching” at your expense. If you have high blod pressure or a history of cardiac disease, taking oral over-the-counter (OTC) decongestants could kill you - and if you’re a male patient with an enlarged prostate, urinating becomes virtually impossible after dosing yourself with this “miracle drug” (read the small print on the package insert). The FDA outlawed Phenylpropanolamine years ago because of its deadly side effects, yet some manufacturer’s disregard that annoying detail and add it to their OTC oral decongestants anyway. If you have nasal polyps or get frequent heartburn, taking nonsteroidal anti-inflammatory drugs (NSAID’s), such as aspirin, Motrin, Advil and Aleve, accelerates polyp growths are accelerated and acid reflux attacks increase their severity (see the topic under acid reflux remedies). Use Tylenol or a suitable natural remedy instead. Since they dry out nasal cavities and solidify mucus deposits, OTC antihistamines cause more harm than good by blocking nasal passages. "Sinus and bladder infections have responded well, and oral infections associated with tooth or gum disease have been particularly responsive." 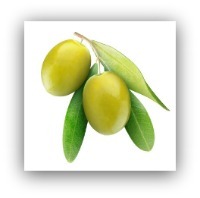 For these types of infections, patients start with two Olive Leaf Extract tablets followed by another tablet every four hours. 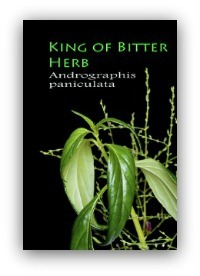 Andrographis Paniculata - Also Known as "Indian Echinacea"
Andrographis is an herb used in traditional Chinese and Indian medicine for centuries. This herb is reputed to act as a natural immune system booster recommended for sinus infection home remedies. Kan Jang, together with pure Andrographis tincture and capsules, are both available online or in reputable health food stores. Pelargonium Sidoides EPs 7630 - Known as "Umka"
Umcka (short for "umckaloabo") is a geranium plant native to South Africa. It has been used for hundreds of years in traditional African medicine. During the latest study published in 2009 by University of Ghent, ENT Department, Ghent, Belgium. A control group of 103 individuals with acute sinusitis was used. Half were assigned an extract of Umcka root for 22 days, and the rest were given a placebo during that period. Umcka was shown to be more effective than a placebo for this condition. This root extract is available in syrup or capsule form from most health food stores and online herbal product vendors. Bachert C, Schapowal A, Funk P, Kieser M. "Treatment of acute rhinosinusitis with the preparation from Pelargonium sidoides EPs 7630: a randomized, double-blind, placebo-controlled trial." Rhinology. 2009 47(1):51-8. Treat your sinus headache (without NSAID's). Drink a cup of tea laced with raw apple cider vinegar before breakfast. Drink four oz. of Mangosteen Juice with your breakfast. This delicious juice is one of the more effective sinus infection home remedies. Inhale steam laced with selective additives. For additional details on these sinus infection home remedies and techniques, see "Natural Sinus Remedies" on another page. Science Direct - Controlled clinical study of standardized Andrographis paniculata extract in common cold and sinusitis.